Many of you may not know that in addition to this little blog here, I’m also a self-published author! That’s right! 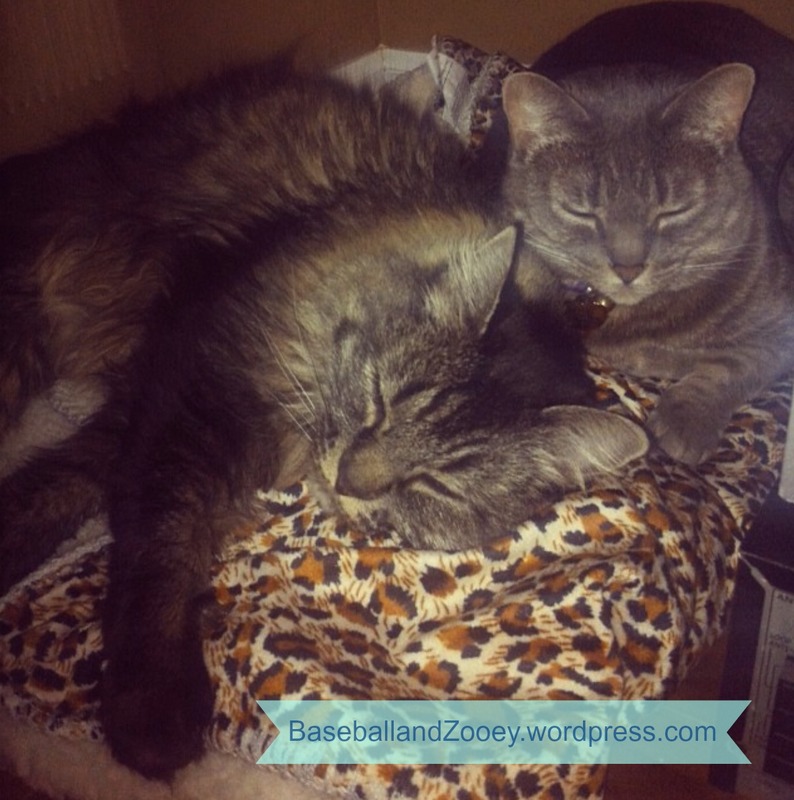 I’m one of those crazy cat ladies…but once you meet Baseball and Zooey (and Dan and Ben – my newly adopted fur-sons who will become regular characters in no time), I think you’ll understand why ;) Because they’re the best, of course! And like I said, I’m back to blogging about them, so be sure to join me over at BaseballAndZooey.wordpress.com for even more fun. Don’t miss fan favorites like “Wordless Wednesday,” which will also be making a comeback! For those of you with young readers in your lives, I also chronicle their many zany hijinks in my children’s book series “The Adventures of Baseball and Zooey”. 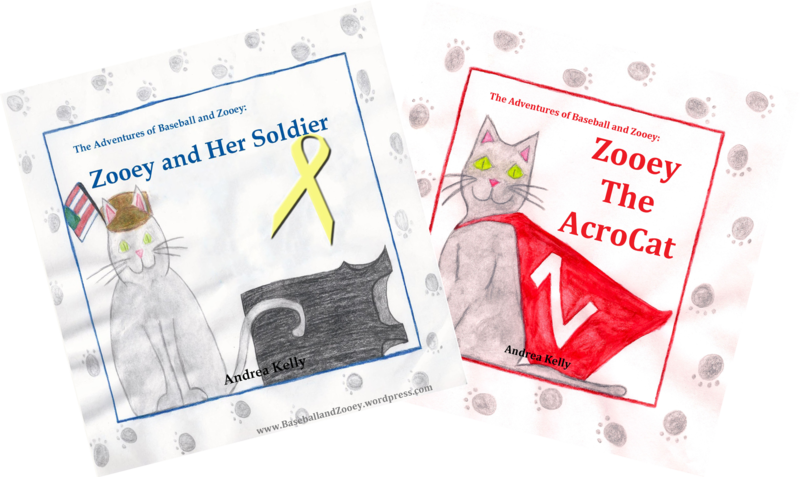 The first two books, Zooey and Her Soldier and Zooey The AcroCat are out now, and available for purchase on Baseball and Zooey’s Shop; or on the Etsy shop I share with my mom, where we also sell our line of 100% organic cotton baby bedding, Delano Designs Baby – Click Here to stop by and check it out! You can also find out more about my books in the Current Works section of this site. The third book in the “Adventures of Baseball and Zooey” series, The Surprise Under The House is now in the works, and will be expected to make it’s debut sometime in the next few months – so stay tuned! Oh, and don’t forget to Click Here to Like Baseball and Zooey on Facebook! Good luck with your new book. If I ever have grandkids, I will be definitely buy the series.